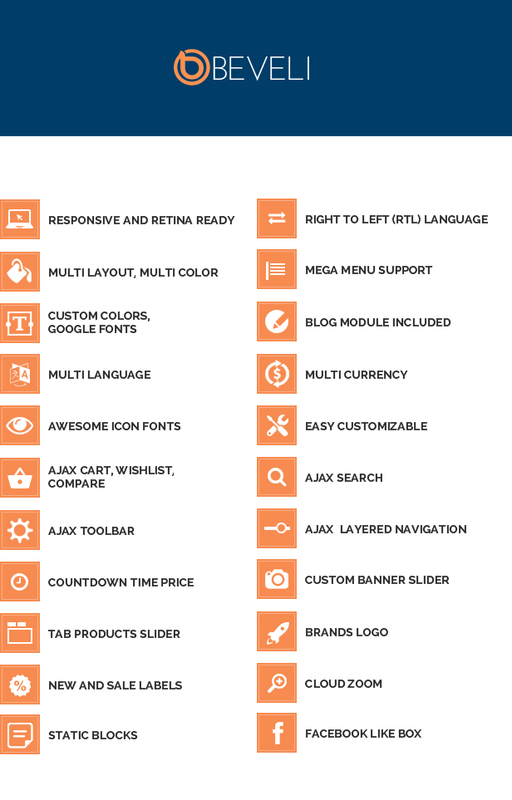 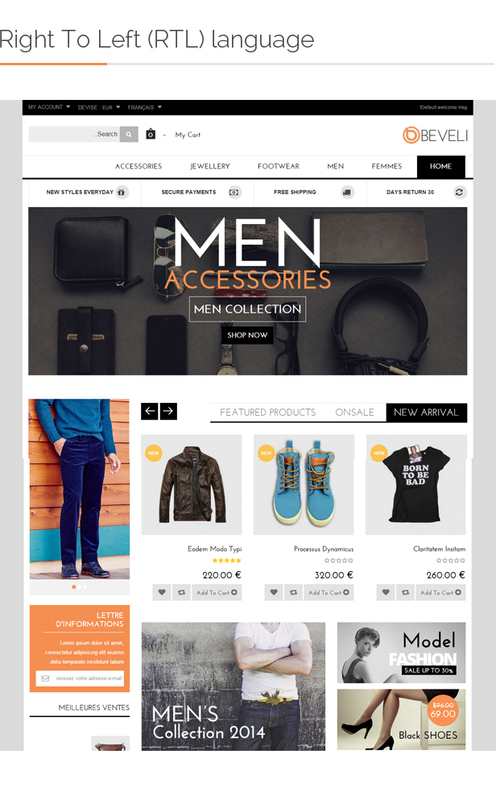 This theme comes with lots of custom block such as support, logo, navigation, menu, etc. 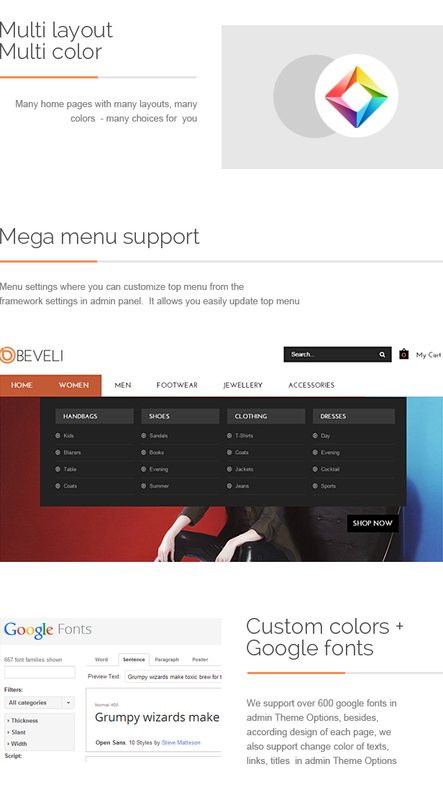 Highlight is the banner sequence with large images, texts and transition, css3 effects below Mega Menu. 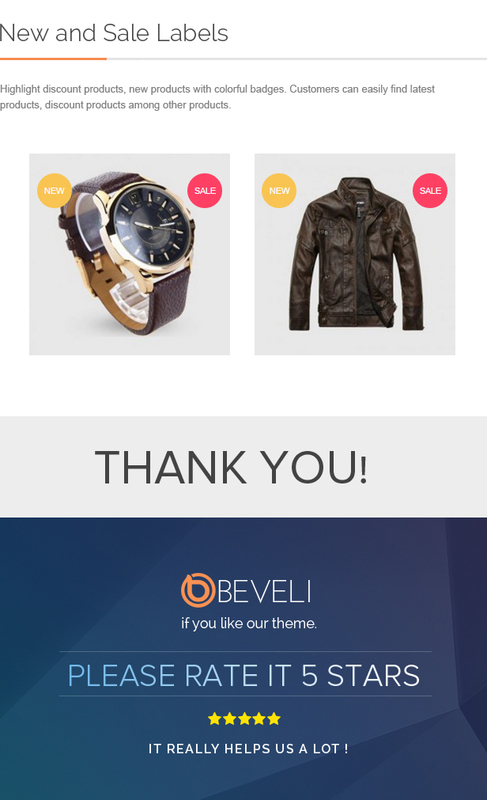 Daily Deals module shows discount products with timer countdown in slider. 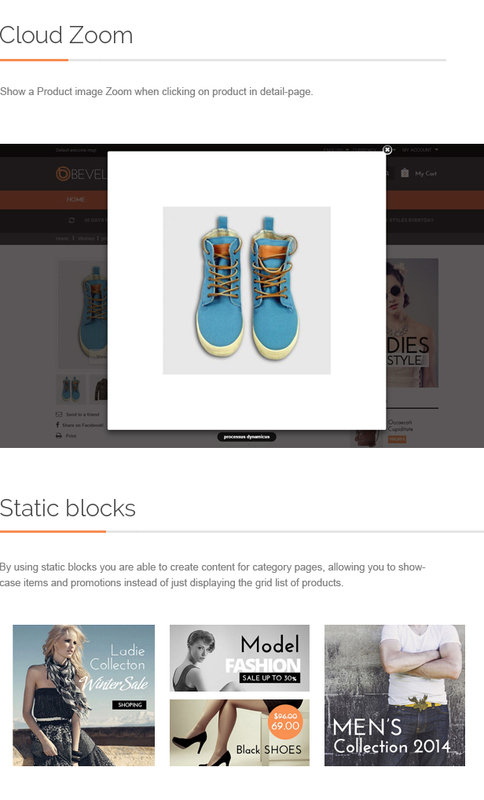 Types of products such as best selling, new, featured are displayed in each tab in slider or are displayed in slider interleaved static blocks with nice images. 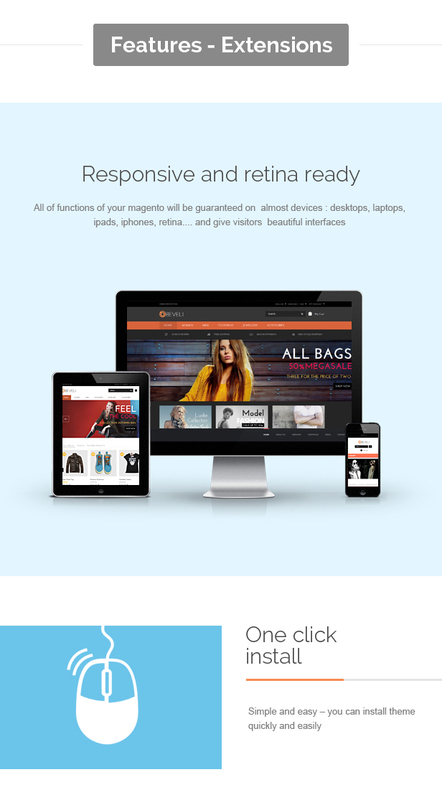 Shopping becomes faster and easier by ajax layered navigation, ajax add to cart. 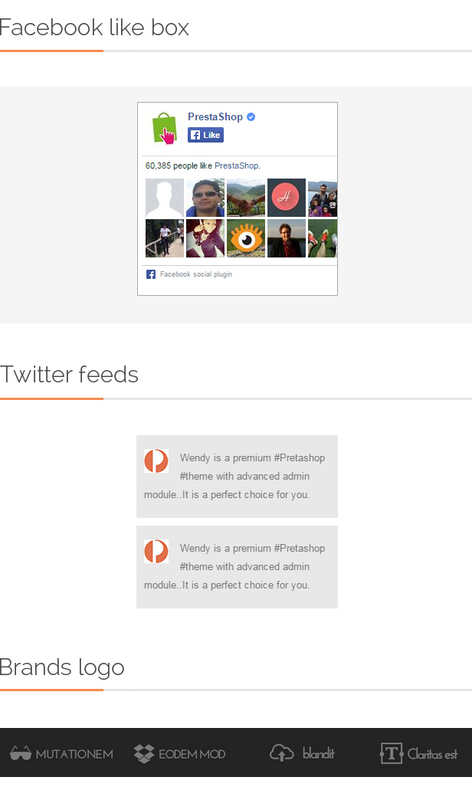 Blog module help customers and shop owner become closer with each other through comments, posts,... 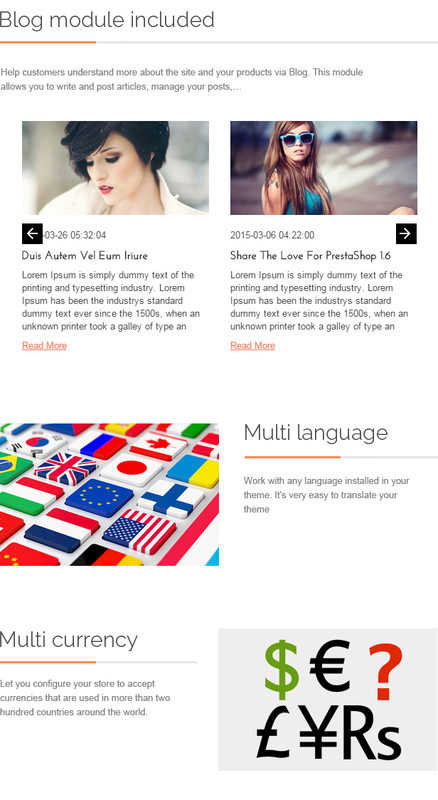 In this template, we also use Goolge Fonts, Awesome icon fonts, custom layout,... increase effective of this website.